Jennifer Guinness, who was at the centre of an eight-day kidnap drama in the mid-1980s, left €9m in her will according to documents lodged in the Probate Office last week. The Dublin socialite was married to John Henry Guinness of the banking arm of the famous Dublin family. She was kidnapped from her Howth mansion by a four-man gang armed with machine guns who hit her husband over the head with a pistol before bundling her into the boot of their car and demanding a £2m ransom for her safe return. The saga, which began on the night of April 8, 1986, led to an eight-day nationwide manhunt for John 'The Colonel' Cunningham, his brother Michael, and Dublin criminal Anthony Kelly, all of whom had links to the notorious criminals Christy Kinahan, then a bank robber and now head of the drug cartel, and Martin 'The General' Cahill. 'Jenny' Guinness, a mother of three who was 48 at the time of her ordeal, was held at five different locations around Dublin city centre during the drama. "I had no doubt at all, most of the time that my life was in danger," she said after being rescued by armed gardai from a flat in a large house on Waterloo Road in Ballsbridge, Dublin 4, after a six-hour stand-off, as the kidnappers desperately tried to set conditions to escape. "I kept saying 'you've got the wrong branch of the family. John's a banker, but two million is not our style of life'." Raised in south Co Dublin, her father Colonel JB Hollwey was an enthusiastic sailor. In April 1959, she married John Guinness, whose family owned the Guinness Mahon Bank in Dame Street, Dublin, of which he later became chairman. They were keen sailors at Howth Yacht Club and over the years cruised around Ireland in their yacht, Deerhound. She later owned two other racing yachts, both called Alakush. She also crewed on cruises to the Arctic and other exotic locations with fellow sailors from Howth. Her husband, John Guinness, died tragically aged 52, in 1988, just two years after the kidnapping, following a fall while walking in Snowdonia, Wales. Jennifer Guinness, of Ceanchor Road, Howth, died after a long battle with cancer on January 23, 2016, at the age of 78 and left estate valued at €9,082,912 according to documents in the Probate Office. In her will, signed on December 7, 2015, she directed that her second husband, Alex Booth, have the right to live in their Howth home or the attached gate lodge for the rest of his life. After a number of other bequests to staff and grandchildren she directed that her possessions and the residue of her estate be divided among her children Gillian, Ian and Tania. Jennifer Guinness was a formidable and strong-minded woman, especially during her kidnap, and later became chairperson of Victim Support. 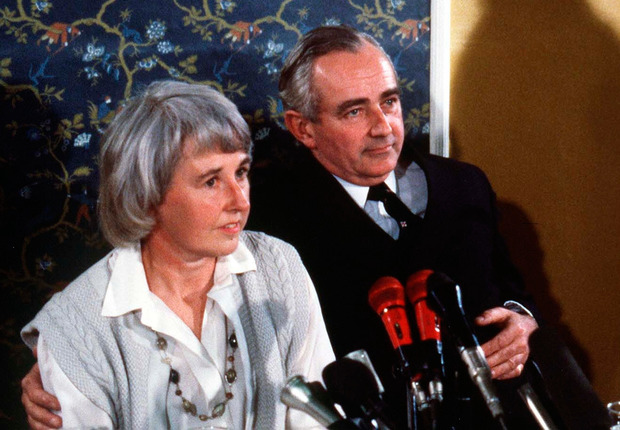 When asked what kept her going during her eight-day kidnap ordeal, she replied, "a certain amount of anger, a lot of determination and just a conviction that they weren't going to get to me". Her kidnapper, Michael Cunningham, who died of a heart attack in 2015, got 14 years in prison. Anthony Kelly, another career criminal who died in 2005, also got 14 years. John Cunningham, regarded as the mastermind of the gang, got 17 years in prison. He escaped from Shelton Abbey in 1995 but was later extradited back to Ireland from Holland in 2004. He was released in 2007 and is now believed to be living in Spain.